There's yet another sign that Fitbit, maker of a line of fitness trackers, is trying to expand its influence with software as well as hardware. Technology publication The Verge reported from last week's Consumer Electronics Show (CES) that Fitbit is planning a dedicated apps store, where developers can offer tools to enhance the usefulness of the company's wearables. It quotes Fitbit CEO and co-founder James Park as saying a Fitbit apps store would help employers and health care companies that use Fitbit's fitness trackers for corporate wellness programs. These apps might range from workout trackers to reminders to take pills. 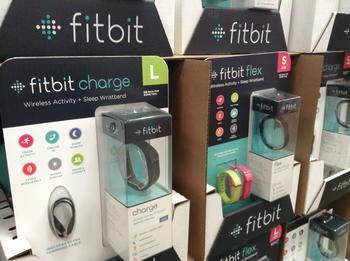 Fitbit already has laid the groundwork for such a move. It recently spent around $40 million to acquire Pebble, a company that makes smartwatches. That company had already started work on the infrastructure for such an apps store. After introducing four new fitness trackers in 2016, The Verge speculates Fitbit will now focus on the software to make the devices more useful. It, along with every other fitness tracker manufacturer, needs to take steps to separate itself from the growing competition that crowded into the market last year. Industry estimates indicate that more than 100 million fitness trackers sold in 2016, but the sales were spread across dozens of companies. "The good news is that the wearables market continues to mature and expand," said Ramon Llamas, research manager for IDC's Wearables team, as his company released a research report last May. "The wearables that we see today are several steps ahead of what we saw when this market began, increasingly taking their cues from form, function, and fashion. That keeps them relevant. The downside is that it is becoming a crowded market, and not everyone is guaranteed success." According to that report, Fitbit leads in wearable technology sales, followed by Xiaomi, Apple, Garmin, Samsung, and BBK.